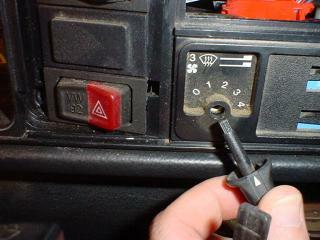 Like most electrical repairs, the dash repair starts by disconnecting the ground of the battery. Most of the images here do not yet have captions. I hope to have the captions ready by the middle of September 2003. 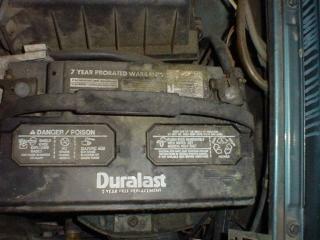 Note: there are 4 pages of dashboard repair images. Believe it or not, all these images are from the procedure to replace instrument cluster light bulbs. The actual light bulb part is way over on the 4th page. 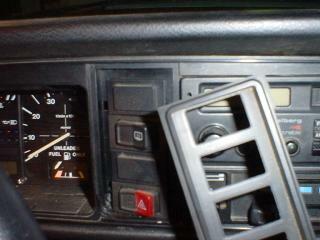 Installation is more or less reverse of removal, and I don't have photos of putting the dash back together. Keep careful track of each screw as you remove it. Many of them are not interchangable, and I've learned that the hard way. Draw a diagram, and tag each screw. Or go to your favorite hardware/home supply store and get one of those multi-compartment containers for the screws and little notes. You might need a somewhat special screwdriver or other tool. I go to Sears for good tools, and AutoZone for inexpensive stuff (or Walmart, K-Mart). 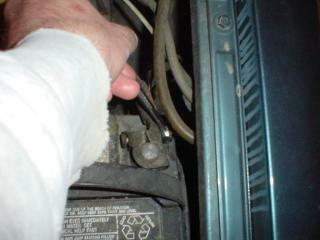 Remove the negative ( - ) battery terminal before working under the dashboard. The bezel that came from around the switches. 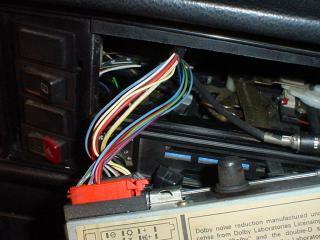 These are standard stereo removal tools. 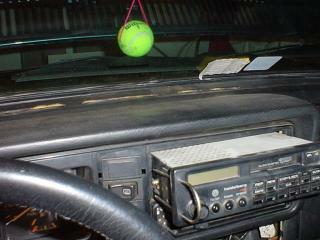 You should be able to get them at AutoZone, RadioShack, and the usual auto stereo stores. 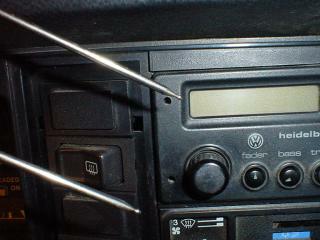 Closeup of the U shaped radio removal tool in place on the left side of the radio. The radio half way out. 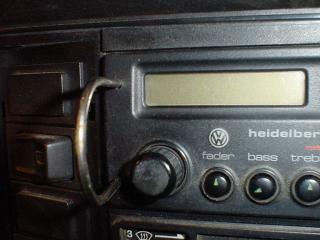 The U shaped tools release locking tabs along the sides of the radio. 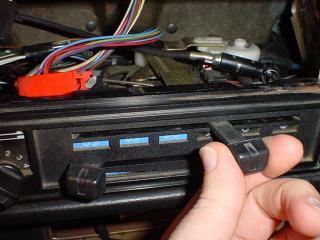 Squeeze those tabs to remove the connectors. Thick black wire is the antenna wire. 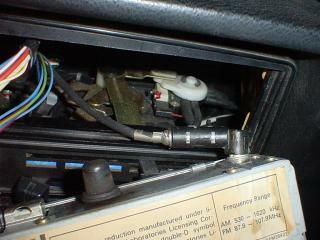 Don't forget to put in back on when reassembling everything! 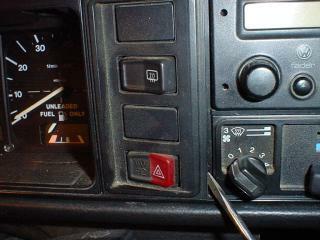 Pull off the heater control levers. Fan knob pulls off too.